Objective To describe a large communitywide pertussis outbreak where aggressive diagnostic and treatment measures were used to control the outbreak. Design Retrospective analysis, May 2003 through February 2004. Setting Fond du Lac County, Wisconsin (population 98 882). Participants Health department personnel conducted case and contact investigations of suspected outbreak-associated illnesses using standard pertussis reporting forms and clinical evaluation and management protocols. Persons with compatible illness were tested for Bordetella pertussis using culture and for B pertussis DNA using polymerase chain reaction. Cases were classified using Council of State and Territorial Epidemiologists definitions. Interventions Health alerts and aggressive testing and treatment of suspected cases of pertussis illness and contact prophylaxis in the community. Main Outcome Measures Incidences by age, onsets over time, and vaccine coverage in case patients. Results We identified 261 pertussis cases among county residents; 149 (57%) were laboratory confirmed. Of the first 57 case patients, 47% reported using a particular high school weight room. Pertussis incidence was high in all age groups; 86% of case patients were 10 years or older. Among 156 case patients with reported vaccination histories, 84% had received 5 or more doses of pertussis-containing vaccine. Adults reported significantly more severe pertussis symptoms than adolescents. Conclusions Pertussis transmission among adolescents using a school weight room instigated a countywide outbreak with substantial incidence and morbidity among adolescents and adults. Aggressive testing and treatment in the outbreak response likely contributed to a sharp reduction in cases. This labor- and resource-intensive outbreak highlights potential benefits of pertussis booster vaccination among adolescent and adult populations. During May 2003 through February 2004, an outbreak of pertussis occurred in Fond du Lac County, Wisconsin (population 98 882). The outbreak was first identified among a group of adolescents and rapidly spread in the community. We implemented early diagnostic testing and aggressive treatment and prophylaxis protocols to control the outbreak. This report describes the epidemiologic features of the outbreak and addresses issues related to pertussis incidence, morbidity, and the potential benefit of pertussis booster vaccinations in adolescent and adult populations. During late July 2003, the Fond du Lac Health Department (FDLHD) initiated an investigation of pertussis in adolescents with initial onsets in early May 2003. Although the initial case onsets of prolonged cough illnesses occurred in May, the earliest diagnoses of pertussis among case patients in this outbreak with submission of case reports to the FDLHD were made in late July. Follow-up interviews revealed recent use of a high school weight room by case patients. School nurses evaluated previous weight room patronage; antibiotic prophylaxis was recommended for persons who spent more than 6 hours in the weight room. The weight room remained open but adult supervisors screened patrons and excluded those with cough until evaluated by a medical professional. Enhanced surveillance for pertussis, contact identification, diagnostic testing, treatment, and antibiotic prophylaxis were initiated in the community. Case patients were asked to remain at home and were excluded from school, work, and social activities until 5 days of appropriate antimicrobial treatment were completed. In early August, the FDLHD notified the Wisconsin Division of Public Health about the outbreak, and later that month, the FDLHD circulated 2 countywide press releases discussing pertussis transmission and disease and advising persons with signs and symptoms suggestive of pertussis to see their health care provider. Notably, this outbreak occurred before tetanus, reduced diphtheria, and acellular pertussis (Tdap) vaccines were licensed for use in adolescents and adults in the United States. After implementing these enhanced measures in the community, cases continued to be reported, but less frequently than earlier in the summer. School began statewide in early September. However, by October 2003, the number of cases again sharply increased; substantial transmission now focused in middle schools and among adults and children in the community. An updated alert sent on October 28 to county health care providers highlighted outbreak features and reiterated the enhanced pertussis diagnosis, treatment, and control measures. Case counts continued to increase in November. More aggressive efforts were initiated to control the outbreak. The FDLHD issued a revised physician alert on November 20 advocating using an intensive protocol for early diagnostic testing (using both culture and polymerase chain reaction [PCR]) and empirical antibiotic treatment of adolescents or adults with potential exposure to pertussis and illness compatible with early (catarrhal stage) pertussis. In households with infants younger than 6 months, providers were encouraged to test and treat persons with respiratory illness if they had not received 3 or more pertussis vaccinations and prescribe antibiotic prophylaxis for their asymptomatic household contacts. These countywide intensive testing and treatment measures continued until mid-December, when incident cases decreased. A revised, scaled-down protocol on December 12 requested continued aggressive testing and treatment of all symptomatic and asymptomatic persons in high-risk households (households with a child < 6 months or who had not received ≥ 3 pertussis immunizations and with a person in the household experiencing any respiratory symptoms) but not in the general population. On February 23, 2004, the FDLHD circulated a final physician alert advising reestablishment of routine testing and case management as countywide reports of pertussis cases became sporadic. Laboratory methods used to collect and test patient specimens for B pertussis are described in detail elsewhere.20 Nasopharyngeal specimens were collected using 2 swabs: a calcium alginate nasopharyngeal swab placed into Regan-Lowe transport medium for culture and a Dacron nasopharyngeal swab placed in a dry sterile tube containing glass beads for PCR testing. Testing was conducted at the Wisconsin State Laboratory of Hygiene; a small number of specimens were tested at the Marshfield Clinic Laboratories using the same protocol as at the Wisconsin State Laboratory of Hygiene. Case and laboratory data were entered into an electronic database. Analyses were conducted using EPI INFO software, version 3.3.2 (Centers for Disease Control and Prevention, Atlanta, Georgia). Incidences of pertussis were calculated using July 1, 2003, population estimates for Fond du Lac County provided by the Wisconsin Bureau of Health Information; incidences for 2-year age intervals were calculated using 2000 US Census Bureau data.21 A χ2 test comparing the homogeneity of 2 proportions was used to compare differences in symptoms among adults and adolescents; P < .05 was considered significant. In contrast to 7 cases of pertussis cumulatively reported among Fond du Lac County residents during 1998 through 2002, 313 suspected pertussis illnesses were reported to the FDLHD from May 2003 through February 2004; 261 illnesses (83%) met a pertussis case definition. Of the 261 cases, 149 (57%) were laboratory confirmed, 70 (27%) were epidemiologically confirmed, and 42 (16%) were outbreak defined. Fifty percent of case patients were female. The median age of patients was 14 years (range, 2 months to 60 years); 2 (1%) were younger than 1 year, 33 (13%) were 1 to 9 years, 116 (44%) were 10 to 14 years (early adolescents), 70 (27%) were 15 to 19 years (late adolescents), and 40 (15%) were older than 19 years (adults). Of the 2 infants with pertussis, infant 1 had siblings with symptoms suggestive of pertussis and the infant's mother developed symptoms strongly suggestive of pertussis 3 days after delivery. The infant had illness onset 7 days later. Infant 2 did not have a readily identifiable source and the infant's family members had not been ill. However, extensive community spread of pertussis had already occurred by that time. High rates of pertussis-related morbidity were reported among case patients: 171 (66%) reported paroxysms; 99 (38%), whoop; 86 (33%), posttussive vomiting; and 166 (64%), a cough that disturbed their sleep. Compared with all adolescents, proportionately more adults reported paroxysms (78% vs 62%; P = .03), whoop (53% vs 40%; P = .08), and posttussive vomiting (47% vs 30%; P = .02). Sleep disturbance was reported frequently among adolescents and adults (91% and 81%, respectively; P = .41). The 2 infant case patients were hospitalized; no encephalopathy or death occurred. Using data collected routinely during the outbreak response, pertussis vaccination information was available for 156 case patients (Table 1). Among 145 case patients older than 6 years, 125 (86%) received 5 or more doses of pertussis-containing vaccine. Four case patients received no pertussis-containing vaccine, 2 of whom were adolescent siblings with prolonged undiagnosed cough illnesses who were among the 4 individuals with the earliest case onsets in the outbreak. Case onsets peaked during 2 distinct periods, mid-June to mid-August and October through early December 2003 (Figure 1). During the outbreak's early phase (May-August 2003), 68% of the 57 cases occurred among adolescents 15 to 19 years of age (Figure 1); 27 of these 57 case patients (47%) reported using a particular high school weight room and all 27 of these weight-room users attended the high school in which the weight room was located. This high school is the largest high school in the county and serves the county's most populous school district. One of the case patients who used the weight room was 1 of the unvaccinated adolescent siblings. During the outbreak's later phase (September-February 2004), 53% of the 204 cases occurred among adolescents 10 to 14 years of age (Figure 1). Only 7 case patients had cough onsets from mid-December 2003 through early February 2004. Reported cases of pertussis by age group and date of cough onset expressed in 2-week periods, Fond du Lac County, Wisconsin, May 2003 through February 2004. High incidences of pertussis (exceeding 200 cases per 100 000 persons) were observed in all 2-year age groups through age 21 years, with highest incidences among adolescents (Figure 2). The highest incidence (2239 cases per 100 000 persons) was observed among 12- to 13-year-olds. Incidence was also high among adults 22 to 69 years of age (≥ 28 cases per 100 000 persons); a slightly higher incidence was observed among adults aged 40 to 49 years compared with other adult age groups. Incidence of pertussis per 100 000 persons for reported cases by age group, Fond du Lac County, Wisconsin, May 2003 through February 2004. Comprehensive laboratory testing data for case patients, including diagnostic comparisons of culture and PCR results, are presented elsewhere.20 Specimens collected increased as outbreak control measures were intensified; among 3090 specimens processed for outbreak-related pertussis testing from July 2003 through January 2004, 80% were tested from November 9 to December 13, an interval that included an “intensive testing” period after the November 20 physician alert was circulated (Table 2). The majority of specimens (69%) testing positive for B pertussis were detected during this interval (Table 2). In addition, the proportion of cases that were laboratory confirmed also increased after testing was intensified in November, from 40% with cough onsets prior to November 1 to 74% with cough onsets during November and December (Figure 3). Reported cases of pertussis by laboratory confirmation status and date of cough onset expressed in 2-week periods, Fond du Lac County, Wisconsin, May 2003 through February 2004. During the outbreak, approximately 5000 Fond du Lac County residents received antimicrobial treatment for illness compatible with pertussis or for prophylaxis following exposure to a confirmed or suspected case patient. Median time from cough onset to initiation of antibiotic treatment for case patients decreased dramatically during the outbreak and with efforts to intensify pertussis awareness and case detection, from 17 days prior to the August press releases to 12 days between the August press releases and the October 28 physician alert to 4 days after the November 20 physician alert. At least 1 case was reported in a student from each of 20 different county schools while in session (3 high schools, 6 middle schools, and 11 elementary schools). The pertussis outbreak among a highly vaccinated population of Fond du Lac County residents during 2003 and 2004 resulted in substantial morbidity, cost, and disruption for families, health care providers, schools, and public health personnel and culminated in more than 2 months of intensive control measures. During the outbreak's initial phase, use of a high school weight room in the summer months rapidly facilitated transmission of B pertussis among high school–aged adolescents. Although control measures prevented further exposure among weight-room users, these measures were implemented after substantial transmission of B pertussis had occurred and the outbreak had spread into the community. During the second phase of the outbreak, rapid and widespread transmission of B pertussis occurred throughout the community, leading to cases among all age groups, with striking occurrence among younger adolescents. Many of the characteristics of this outbreak have been observed previously.3,9,12,14,16 Other school-related outbreaks have originated among members of school sports teams,13,22 and spread of pertussis within a school system to a community at large has also been reported.12,14 A unique feature of this outbreak was our ability to trace the origin of the outbreak to the use of a school weight room during the summer months, prior to the beginning of the school year. It is not known if more intensive control measures during the summer could have prevented the large number of cases that occurred after school began in the fall. When spread occurs in the community, adults in contact with adolescents (including teachers and parents) and their adult contacts appear to have higher rates of pertussis and pertussis-related morbidity11,13,14 and this may explain the higher incidence among adults aged 40 to 49 years observed during this outbreak. 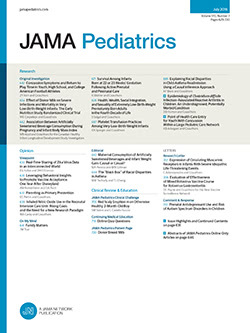 Pertussis illnesses observed in this outbreak were also consistent with other reports indicating significant morbidity among adolescent and adult case patients,11,18 with significantly higher frequencies of paroxysms and posttussive vomiting reported among adult compared with adolescent case patients and a high incidence of sleep disturbance among both adolescent and adult case patients. In this outbreak, we used intensive protocols to identify, diagnose, and treat patients with suspected cases of pertussis early in their illnesses,20 and we implemented treatment protocols that aggressively targeted households with infants younger than 6 months. These aggressive protocols were initiated to reduce B pertussis transmission in the community, protect infants at highest risk of severe pertussis, and bring the outbreak under control. Although encouraged by the enhanced recommendations during the summer when the high percentage of positive specimens tested likely indicated the need for more expansive testing, the interval of intensive communitywide testing and treatment was not initiated until mid-November. Nonetheless, implementing these measures led to increased laboratory confirmation of cases and appeared to succeed in reducing transmission, including limiting transmission to only 2 infants, thus facilitating a sharp drop in the number of cases by December. Recognition of cases by testing, particularly early recognition by use of culture with PCR,20 along with reducing the time from cough onset to treatment initiation, likely strengthened efforts to interrupt B pertussis transmission during this outbreak. While it is possible the outbreak had already started to abate when the intensive testing and treatment were initiated, we were not able to determine which of the control measures contributed most to the decline in cases. The limited amount of data routinely collected during pertussis case investigations did not allow us to determine the proportion of antibiotic courses that may have been unnecessary. The outbreak in Fond du Lac County occurred before pertussis booster vaccination was available for adolescents and adults in the United States. During 2005, 2 formulations of Tdap vaccines were licensed in the United States for use in adolescents and adults (Boostrix, GlaxoSmithKline, for individuals 10-18 years old, and Adacel, Sanofi Pasteur, for individuals 11-64 years old).24,25 Use of Tdap vaccines among adolescents and adults, including routine use among adolescents 11 to 18 years old, is currently recommended by the Advisory Committee on Immunization Practices.24,25 Although outbreaks of pertussis illness will continue to occur even with the availability of Tdap vaccines for use among adolescents and adults, routine use of Tdap booster vaccination in these populations will likely reduce B pertussis transmission and disease burden.26-28 The occurrence of pertussis in a 10-day-old infant born to a mother who developed an illness strongly suggestive of pertussis 3 days postpartum underscores the importance of vaccinating prospective parents to minimize risks of pertussis among neonates and other infants. Whether vaccination with Tdap during outbreaks can have a measurable effect remains unknown. However, administration of booster doses of Tdap vaccine among adolescent and adult populations will likely be an important individual and public health measure to reduce pertussis morbidity and mortality in community settings and to contribute to a reduction in number and impact of pertussis outbreaks. Correspondence: Jeffrey P. Davis, MD, Bureau of Communicable Diseases and Preparedness, Room 318, Wisconsin Division of Public Health, 1 W Wilson St, Madison, WI 53702 (davisjp@dhfs.state.wi.us). Author Contributions:Study concept and design: Sotir, Cappozzo, and Davis. Acquisition of data: Sotir, Cappozzo, Warshauer, Schmidt, Monson, Berg, Zastrow, Gabor, and Davis. Analysis and interpretation of data: Sotir, Monson, Gabor, and Davis. Drafting of the manuscript: Sotir, Warshauer, and Davis. Critical revision of the manuscript for important intellectual content: Sotir, Cappozzo, Schmidt, Monson, Berg, Zastrow, Gabor, and Davis. Statistical analysis: Sotir. Administrative, technical, and material support: Sotir, Cappozzo, Warshauer, Schmidt, Monson, Berg, Zastrow, Gabor, and Davis. Study supervision: Cappozzo and Davis. Financial Disclosure: Dr Davis has received honoraria from GlaxoSmithKline and Sanofi-Aventis. Additional Contributions: Warren Post, MD, Fond du Lac Health Department, and Mary Wedig, BS, Wisconsin State Laboratory of Hygiene, assisted in this investigation and report and Trudy V. Murphy, MD, Centers for Disease Control and Prevention, reviewed the report.